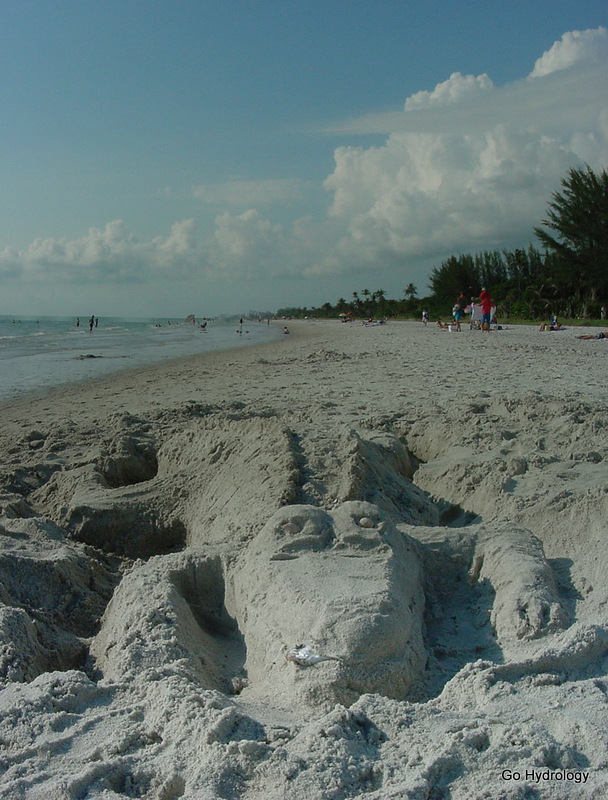 Or come to think of it – any size at all – on Naples Beach. Let alone with a fish in his mouth! Gators of course are freshwater creatures. but I came in afterwards to take the photo. Downstream in the brackish waters of the mangroves you'll find crocodiles, or a few of them at least. I recently saw my first one on a tidal portion of the Tamiami Trail Canal. It caused quite a crowd, as many passing motorists had stopped to take a look. It had just attacked and killed a four foot gator. Every now and then they stroll into salt water. 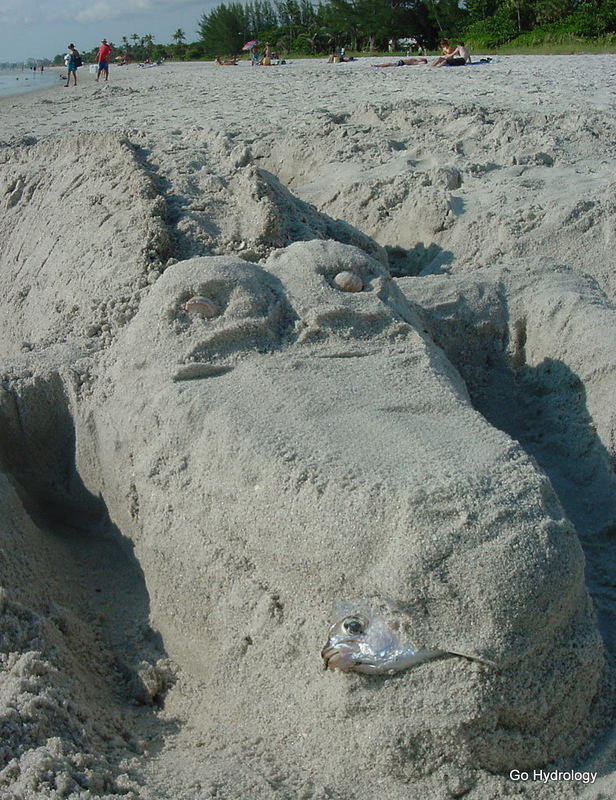 Here is a link to a beach gator in Marco. Cool sand sculpture! The fish is quite the addition! Interesting article, and good explanation how it happened in spring. I vaguely remember a similar situation with an alligator floating just off the beach up in Naples, but that was many years ago.